Please ensure that you give us the correct address and full postcode where a recipient will be able to accept a package, as we cannot be held responsible for any parcels not delivered or collected due to incorrect delivery information or if the recipient is away at the time. Please note that if a consignment is returned to us as a result of the recipient not being able to take delivery for any reason, we may need to charge an additional delivery charge to re-deliver. It is also useful if you can provide us with a contact telephone number for the recipient so we can contact them if necessary – you will be asked for this when you enter the delivery details during the checkout process. If you are not sure if a recipient will be at home, we recommend delivery to a work address where possible. We deliver to all United Kingdom mainland addresses and offer free standard delivery on all hamper orders. Please note that we do not deliver on Bank Holidays. We can also deliver to Northern Ireland, Offshore & Channel Islands (premium charge) and outside the UK, but this must be done at a premium charge. Please email sally@mumsback.com for specific cost of delivery stating destination. Orders are usually dispatched for Next Working Day delivery within 48 hours. Please note, however, that we cannot dispatch orders on Fridays, Saturdays or Sundays. 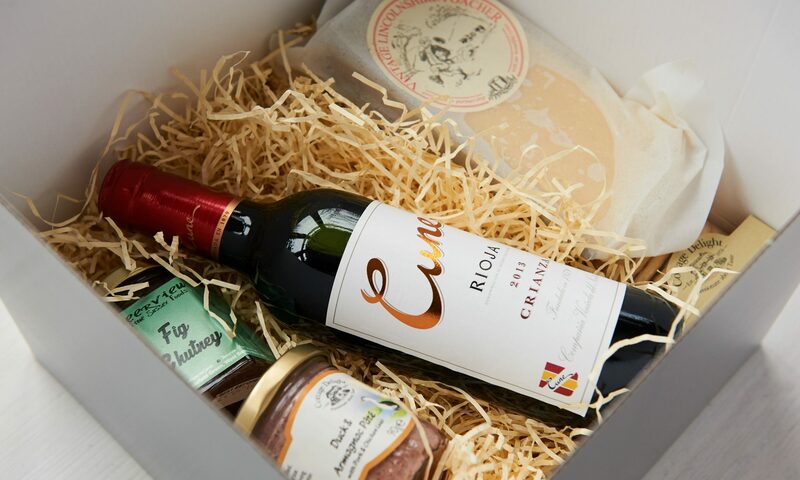 Hampers containing items that require refrigeration on delivery (such as cheese) must be delivered on an over-night service to ensure the correct temperature is maintained. Therefore we cannot deliver hampers containing fresh items on a Monday or on a Tuesday following a Bank Holiday. Deliveries to business addresses and hospitals will be delivered to a main reception or mailing room prior to internal distribution. All deliveries to hospitals must include the ward name or number in the relevant address field. Any order omitting these details may not be accepted for delivery by the hospital. We cannot accept orders for delivery to an address containing a PO Box number, or from persons placing an order whose address contains a PO Box number. What happens if a recipient is not there to accept delivery? If the recipient is not there to sign for a delivery, our courier will attempt to leave the parcel with a neighbour or in a safe place. If this is not appropriate they will either re-attempt to deliver the next working day, or send to a near by shop for you to collect (if it is under 1 mile away). Unfortunately there is no recompense for deterioration of products due to non-delivery. Please note that our courier may return a consignment if the recipient is unable to take delivery within 7 days. If the goods are returned for this reason we may need to charge an additional delivery charge to re-deliver. If you take delivery of a package from us and the contents have been damaged in transit, we will exchange the damaged items without charge to you provided you return the damaged item(s) to us, or send us photographic evidence of the damage where a return is not possible, within 30 days of taking delivery. Please inform us of any problems within 14 calendar days of the receipt of the order. Right to return can only be exercised in writing or in another durable medium. The right to return also applies for goods not wanted any more and items may be returned without giving a reason. The statutory right to return does not apply for damaged or defective items. When hampers and selection boxes contain perishable items with a short date before expiry, your statutory right to withdraw purchases within the 14 day ‘cooling-off’ period does not apply. Otherwise, your 14 day ‘cooling-off’ period begins from the date of delivery. This qualification also applies to any perishable food supplied by us with a short date before expiry.